So here's how I combat oily roots, dry ends and keeping my curls bouncy, not flat. 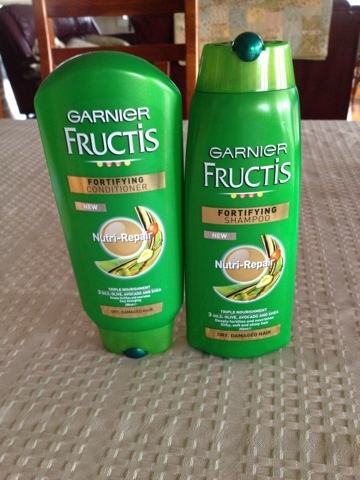 I have been using for the past month Garnier Fructis: Oily Roots/ Dry Ends in the shampoo and conditioner. I bought them both from my local Coles for under $10 and they are honestly one of the best shampoo and conditioners I have ever used. It doesn't leave my hair flat, just super silky. However I just purchased (on special $10 for both from Coles) Schwarzkopf Extra Care Hair Repair with Liquid Keratin: Marrakesh Oil & Coconut as I am looking for some repair to my hair before I make the descision to chop off some of the ends...again. I like to avoid washing my hair in too hot or cold water and opt for a warm water rinse, I massage both the shampoo and condition really well into my scalp and roots, making sure both are rinsed out completely to avoid product build up in your hair (think flat, yucky feeling hair). I also don't blow dry my hair, I gently towel dry it and then let it air dry. I've found this makes my hair feel a lot healthier. Whether I am straightening my hair or leaving it curly, the second day is always the day where I try and do the most with it. If I am working with my natural curls I will put a Frizz-Ease solution (picture below) through it (lightly) and work a lot of bobby pins in, if I am taming my locks and going for a straighter look (poker straight doesn't suit me too well) I will apply a heat protectant spray and after straightening, work a few pieces of my hair up as right now my layers have grown out so I don't like to leave it all straight down. This is when my hair isn't as clean feeling as Day 1 or 2 but not yet in need of some dry shampoo. I find this day is the best day for straightening my hair as the natural oils in my hair have started to come out (a bit gross sounding but true) and it makes my hair easier to work with. Since being pregnant though, my go-to hairstyle at the moment is the pony tail, combined with a side braid or high fringe. Day 4: Dry Shampoo I need you! My hair is now on it's last day of not being disgustingly oil ravaged but is starting to feel a lot more flat. This day also depends on how much product I have added to my hair prior. Usually it's minimum, but if I have been spraying hair spray, heat protectant, dry shampoo etc...it's not as lovely feeling as i'd like and usually if it's too nasty I will wash it. I'd love to write on here that I apply an intense moisture repair mask twice monthly but that's not the truth, I have purchased leave-in conditioners before and they just left my hair feeling overly heavy. The routine I have for my hair now I am happy with, when tweaks need to occur I will happily include them but for now, this is what works for my long locks. So that in a bigger than average nutshell is my Hair Care Routine, I'd love to know if anyone else has a similar or completely different routine.